Basic Science and Humanities, the foundation of all engineering branches, established in 2001 comprises of disciplines - Mathematics, Physics, Chemistry, Economics and English. Engineering as a stream of study demands basic knowledge of Physics, Chemistry and Mathematics. Without incorporating these streams a perfect engineer cannot be fashioned. Keeping in view of this fact the department offers foundation courses in Engineering Physics, Engineering Chemistry, Environmental Chemistry, Calculus, Differential Equations, Linear Algebra, Complex Analysis, Probability and Statistics, Laplace Transforms, Fourier Integrals and Fourier Transforms, Random Process, Numerical methods, Operations Research and Business Economics in both Under Graduate and Post Graduate levels.It also imparts training in life skills such as communication skills, soft skills and personality development skills so that the students can face the challenges of life with confidence. 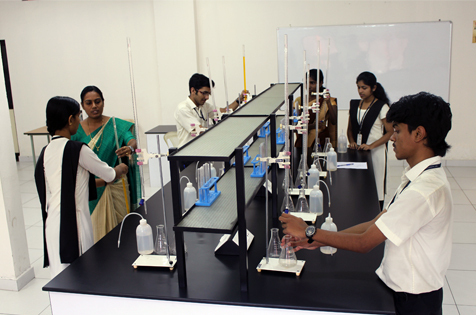 The department has always taken the initiative in the first year onwards in all the B Tech streams to mould the moral fiber of our students.Each discipline has its own lab with the latest equipment and software. 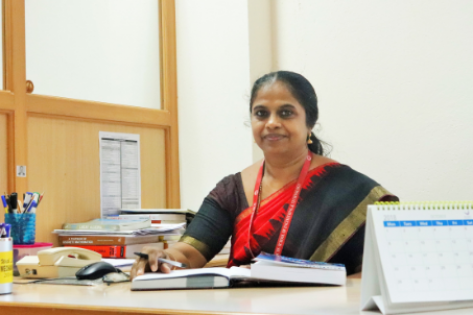 The department is equipped with competent and enthusiastic faculty ready to adapt themselves with the rapidly changing circumstances and environments and embrace new ideas in their respective disciplines to face the challenges posed by the educational system. Twenty two faculty members and two lab assistants belonging to the department hold the rein. AVISHKARA, the collegiate club by the BASIC SCIENCE AND HUMANITIES DEPARTMENT of SSET a recent endeavor is still in its formative stage.